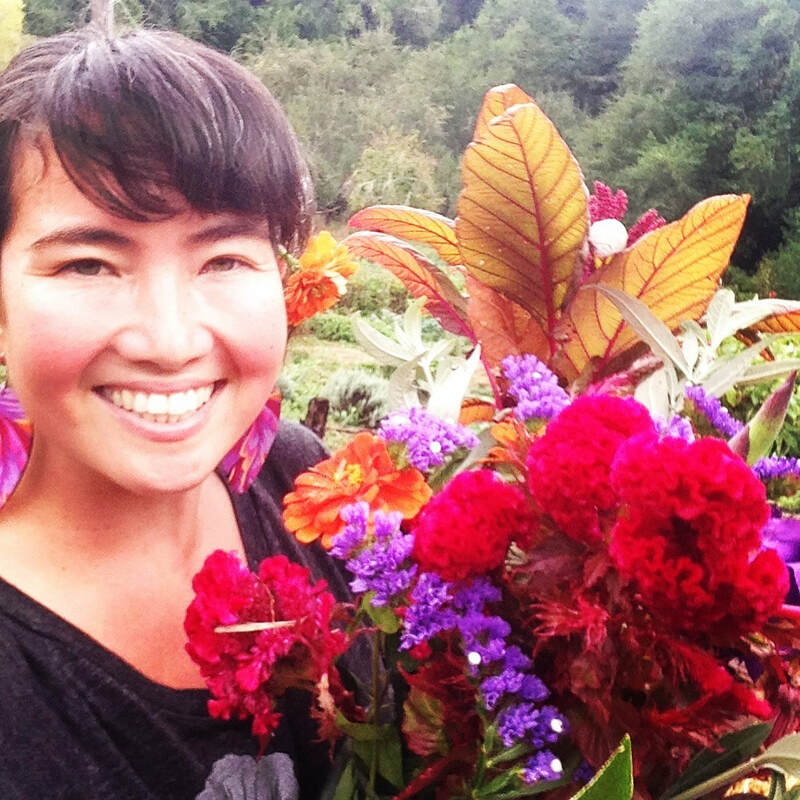 My name is Elokin Orton-Cheung, I'm a community herbalist, activist, and big garden nerd. I fell in love with plants when I grew my first bean as a kid- it was magikal to watch a little seed turn into a full grown plant, covered in delicious string beans! I was a very shy kid (sometimes I still am!) and through gardening I found community- since then I have been growing plants of all kinds, and working with them as medicine. I am deeply grateful to all the teachers I've learned from: the plants and the people who have shared so much knowledge with me. Howie Brounstein at the Columbine's School of Botanical Studies became my first Western herbalism teacher after we met in 2003, and to this day I continue my studies with Karyn Sanders and Sarah Holmes at the Blue Otter School of Herbal Medicine. I am also a student of Traditional Chinese Medicine at the Academy of Chinese Culture and Health Sciences in Oakland. I've learned a lot through my own experiences listening to the plants, and through the wisdom shared by my friends and beloved community. I have a lifelong commitment to being a student as well as a teacher. There is always so much more to learn! I created Shooting Star Botanicals in 2012, after going through my own experiences with health challenges created by the ovarian cysts I've had. My work as an herbalist is founded in healing justice- a belief that we all have the right to affordable, accessible, high quality health care. I am a mixed-race, queer person of color, and I organize to build more accessible and safer spaces committed to healthcare that center racial, environmental and gender justice. ​I offer herbal consultations, Spiritual Massage energy work, and teach classes on plant medicine and sustainable gardening at schools, conferences, living rooms, community gardens, and grassroots organizations all over the country- I'm honored to teach anywhere I'm invited that feels in alignment with the values of justice and healing. My goal is to support people to develop their own connection with plants to improve emotional, spiritual, and physical health. I believe through connecting with the deeply healing nature of herbal medicine we can make the changes we want to see in ourselves, the communities we are connected to, and the world we are part of.